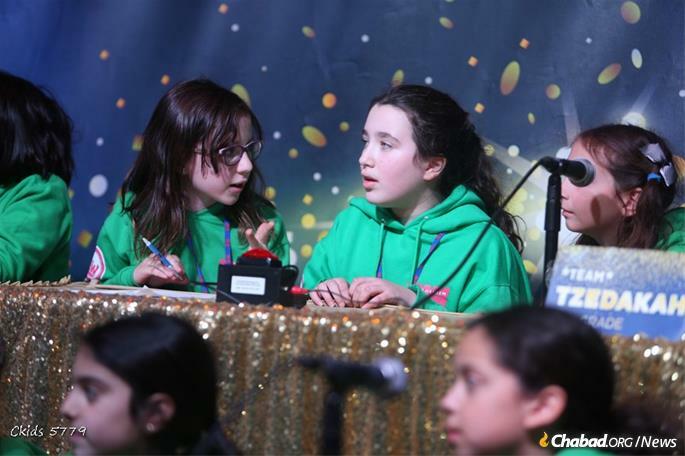 Competition was intense at the JewQ international Torah finals. 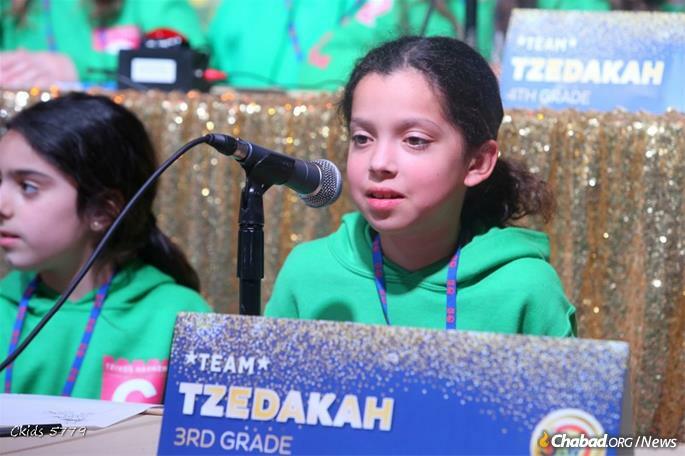 Certainly you could understand if Leah Ada Klein, 9, was a little nervous as she prepared to step onto the stage at the New Heights Middle School in Brooklyn, N.Y.
Not only was she about to participate with dozens of kids in a competition testing her Jewish knowledge, she was doing so in front of hundreds and hundreds of strangers, hundreds of miles from her home in Hamilton, Ontario in Canada. But her nerves faded as she joined the other contestants. “When I walked out on stage, I couldn’t actually see the crowd because everything was dark, so it looked like I was just speaking to no one. That worked out pretty well,” she said. It worked out better than she could have imagined. 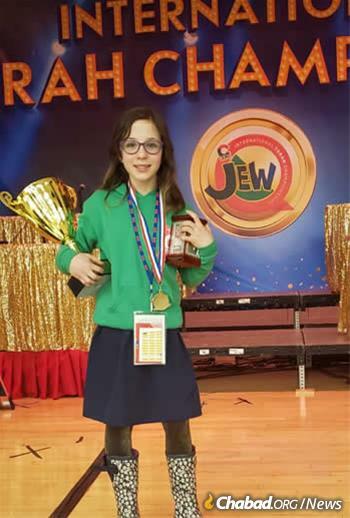 Leah went home with the title of winner of the JewQ contest in the fourth-grade division—and a trophy she described as “big as two rulers.” She was there representing Chabad of Niagara Falls. 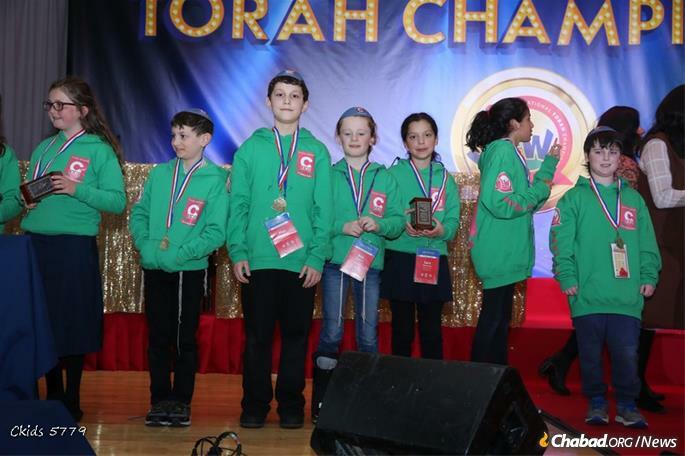 Other winners of the March 3 contest were: Tamar Cohen representing the Chabad Hebrew School of Chestnut Hill, Mass., in the third-grade division; Julia Berger from the Chabad of Port Washington Hebrew School in Port Washington, N.Y., was the winner of the fifth-grade contest; and Max Kalyakov of the Chai Center Hebrew School in Dix Hills, N.Y., won in the sixth-grade group. 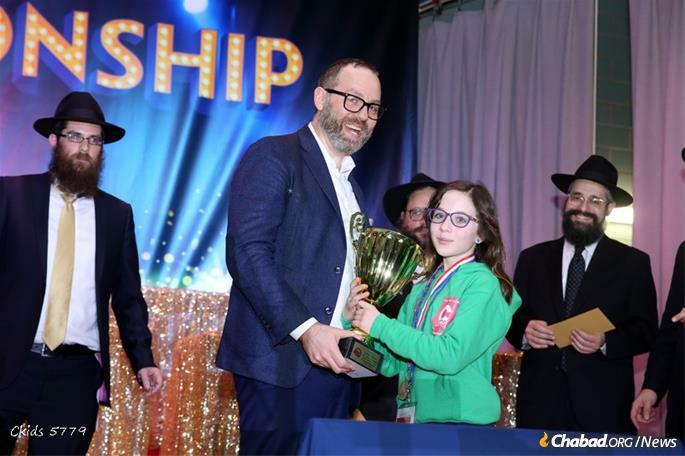 Leah Ada Klein, 9, winner of the JewQ contest in the fourth-grade division, holds a trophy she described as “big as two rulers.” She represented Chabad of Niagara Falls in Canada. 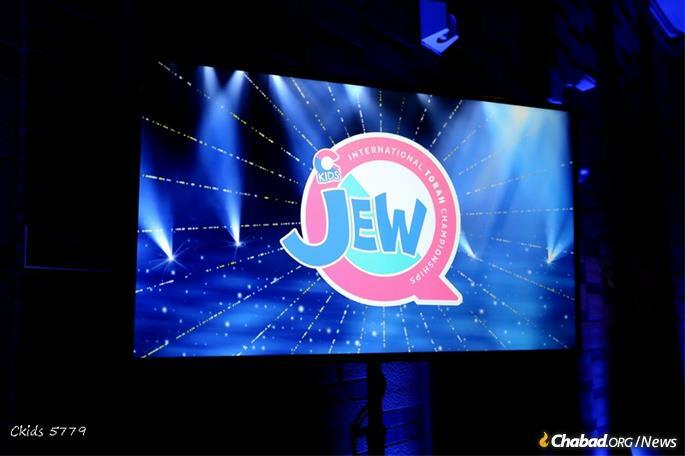 An initiative of CKids (the Chabad Children’s Club), JewQ is an international Torah competition that challenges students not attending Jewish day school to learn independently under the guidance of their local Chabad-Lubavitch emissaries. 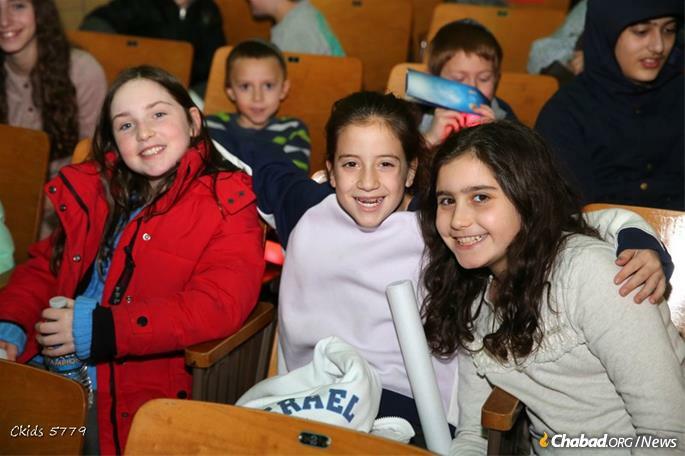 They began their studies in October right after the Jewish holiday of Simchat Torah. 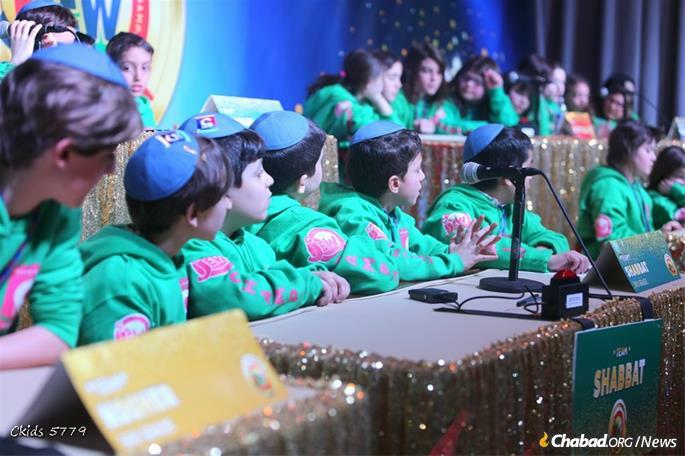 To qualify for the main championship, students had to excel on a series of exams testing their knowledge on verses and concepts from the Written and Oral Torah, Maimonides’ Thirteen Principles of Jewish Faith, mystical and ethical teachings in Judaism, and more. 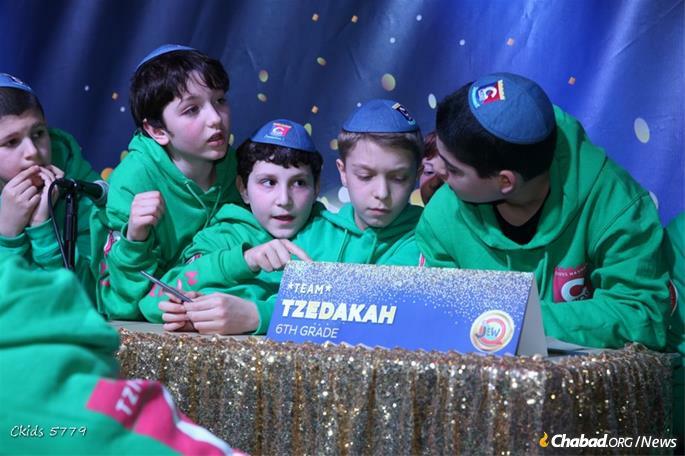 Students with the top scores from their Chabad House were invited to spend a Shabbat together in the Crown Heights neighborhood of Brooklyn and compete in the final round of JewQ in front of a live audience. 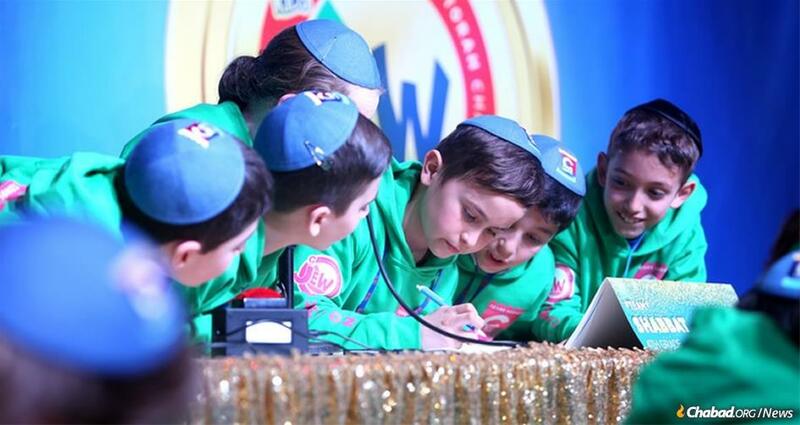 Hundreds of Jewish children from more than 77 locations took part in studying for the competition. Some 80 students, including youngsters from California, Oregon, Illinois and other states participated in the final in-person round. 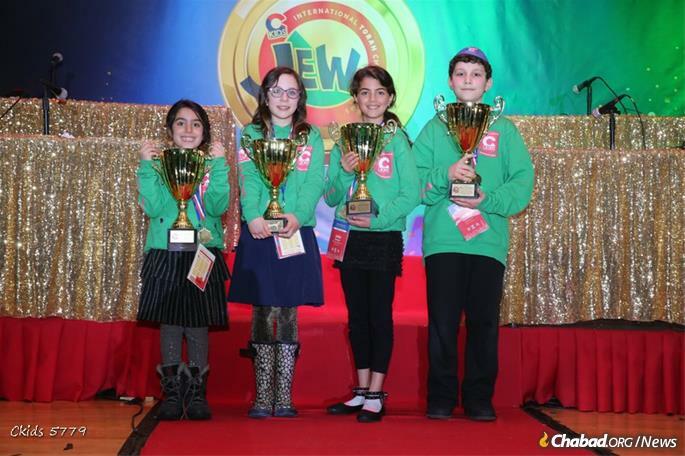 Funding for the competition came in part from donors Howard and Linda Katz of Toronto, who were named honoree JewQ champions. 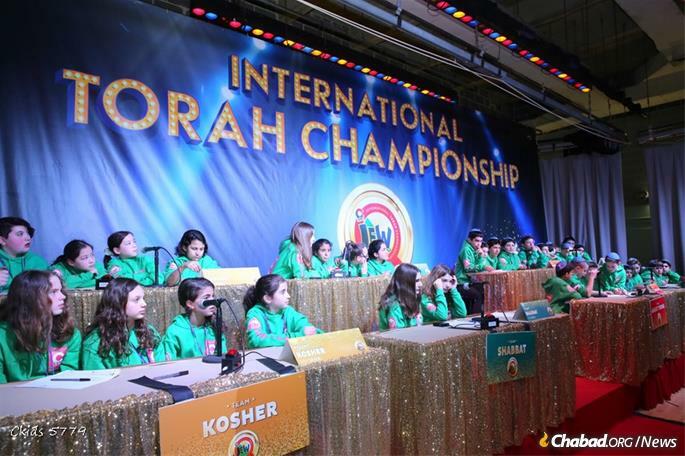 Competitors were students not enrolled in Jewish day school and who learn independently under the guidance of their local Chabad-Lubavitch emissaries. Perla Zaltzman, who co-directs Chabad of Niagara Falls on the Canada side of the well-known resort area with her husband, Rabbi Zalman Zaltzman, had spent months working with Leah and her older brother, Adam, who also placed very high on the qualifying exams. She wasn’t sure what to expect initially for the contest, but has nothing but praise for how everything was handled. “I was so moved by the way CKids treated the children. The care—and the way they spoiled them and made them feel so special—it was something so beautiful,” she said. 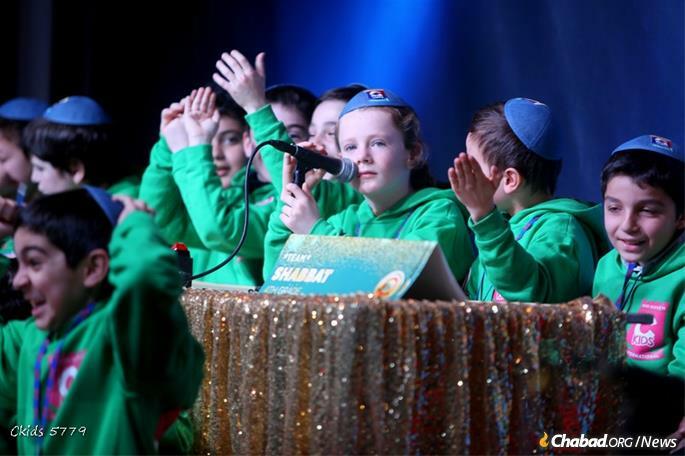 The kids also had plenty of down time, where they got to play laser tag, enjoy kosher establishments and make new friends. As part of the program, the kids visited the Ohel in Queens, N.Y., the resting place of the Rebbe—Rabbi Menachem M. Schneerson of righteous memory—where they wrote and left letters to the Rebbe. “The experience has been life-changing for those who come because they are being exposed to the richness of the Jewish community that they don’t ordinarily have in their small community,” said Zaltzman. “It’s very different than where I live,” related Leah. “It’s so busy and beautiful, and there’s so many Judaica things and stuff,” she said, adding that she and Tamar Cohen, the third-grade winner, have become friends. While Leah’s mother, Elissa Press, couldn’t be there to watch her daughter compete in person, she watched the live feed at home in Canada. She acknowledged screaming with joy when her young daughter was named the quiz champ in her division. There was an added reason for the emotions: Leah participated in the contest in memory of her best friend, Perla’s daughter, Moussia, who passed away in 2015 when she was just 6 years old.